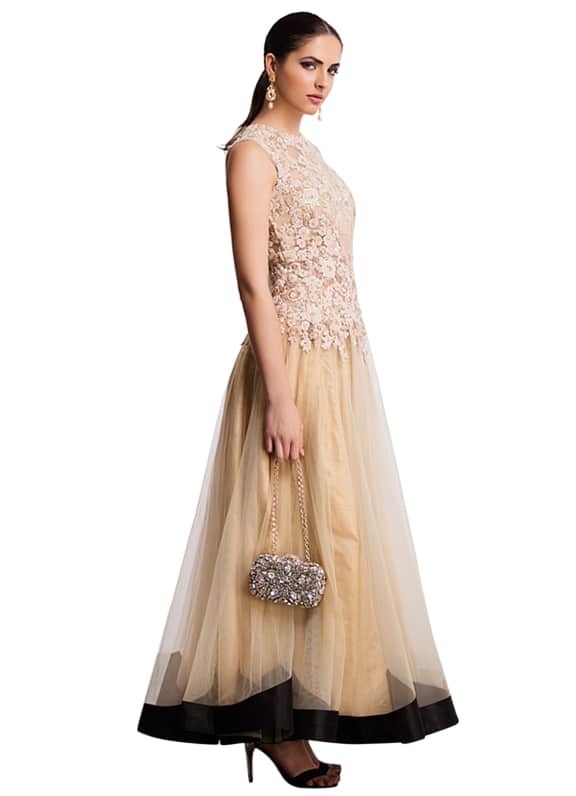 This beige net anarkali kurta has black applique on the bottom and the bodice is full thread work in white and gold. It comes with a silk underskrit in beige. Ridhi Mehra makes an exquisite anarkali. 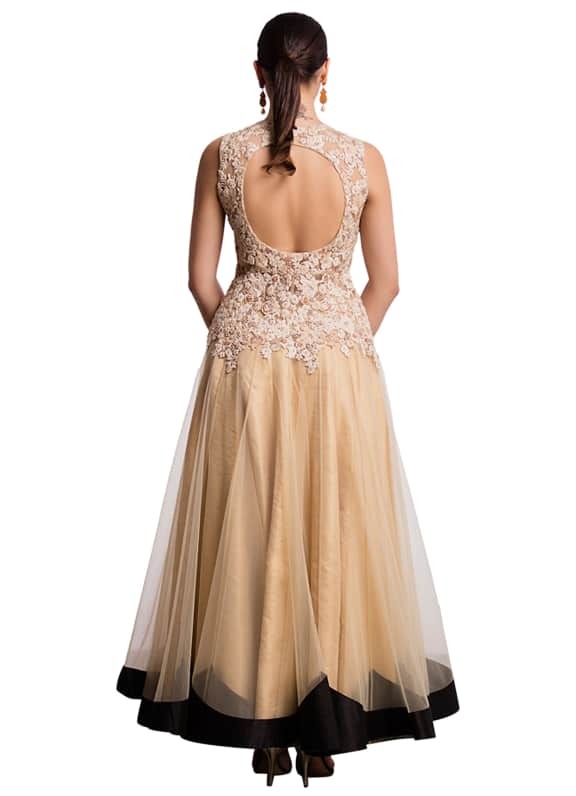 The black appliqué at the bottom gives the outfit the right bounce and the embellished bodice makes it dressy. 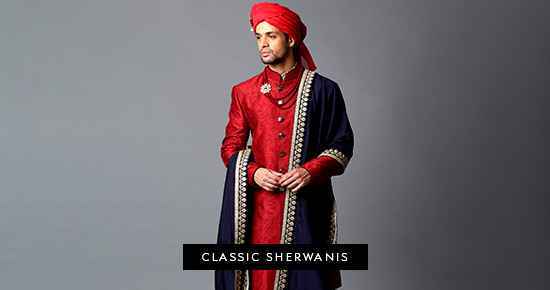 The skirt inside the anarkali adds femininity to the ensemble making it perfect for an evening reception. Style these with a pair of long Amethyst gold earrings.